What does the existing septic system consist of? Does the septic system work as intended? How long will the current septic system last? If it’s not functioning as intended how much will repairs or a replacement system cost? Let’s begin with the purpose of a septic system. Simply put, a septic system allows for the safe removal and disposal of the wastewater created in your home, without causing adverse effects to groundwater or the environment. When installing a septic tank in Coventry, CT, your first step should be to contact a professional who can help you determine what type of system will work best for you. For new construction, the complexity of the installation will depend on the location, the size, and material of the tank, and any required permits. Although installing a septic tank may sound complicated, you don't need to worry – the experts at Kelley Septic & Drain can help you get in touch with a professional designer and a qualified engineer in Coventry,CT to determine the best design for your system. For older systems that are failing, it may be necessary to replace some or all of the components of your existing septic system. 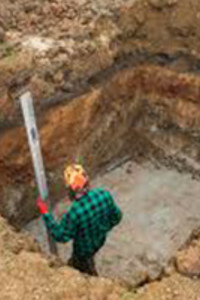 Replacing a failing septic tank has many advantages and can save you money long term. It can also preserve your septic field, prevent potential accidents, and maintain the health of your environment. Since every system is different, Kelley Septic & Drain can decide on a case-by-case basis. Call us anytime at 860-456-8655 for a free Coventry, CT inspection. Installing a new septic tank is not a place to cut corners - working with a professional in Coventry is necessary to ensure that everything is correctly connected.